The images may take a short while to load before they become active. 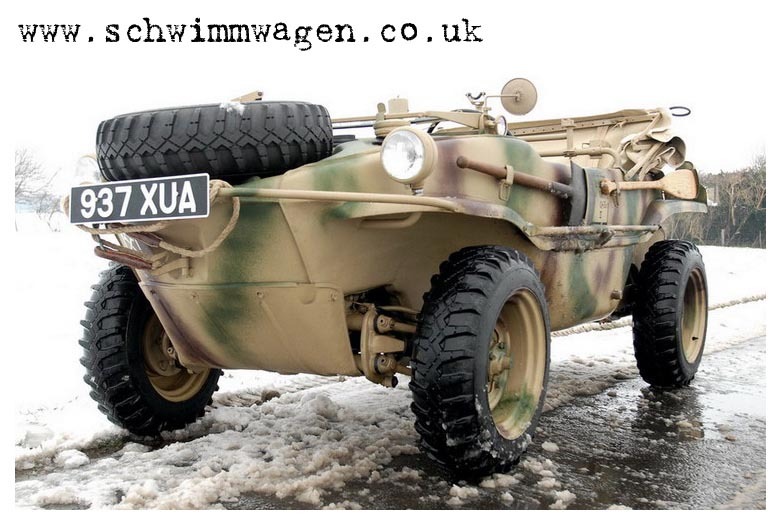 Finally had a chance to take the Schwimmwagen out on it's first drive on UK roads and as luck would have it we had our first covering of snow for years. It gave us a good chance to test out the four wheel drive system which worked well and apart from being a bit cold it was great fun, you certainly can't complain about the lack of fresh air!